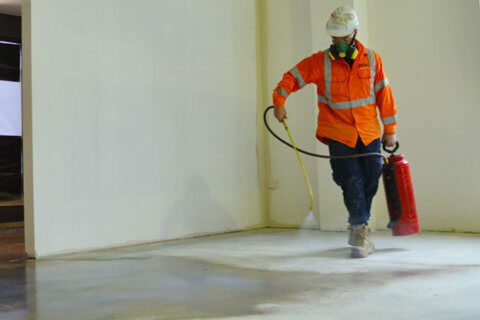 Offering Concrete Grinding Services in Sydney, our professional team can complete a wide range of projects including: surface preparation works, wall glue removal, water proofing membrane removal, floor vinyl removal, floor grinding, concrete polishing, epoxy paint removal, concrete planing, floor preparation & leveling. Our objective here at PERFECT CONCRETE CARE is to present to you an easy and economical way to grind that can be done in a day or less, depending on how big or small your project is. 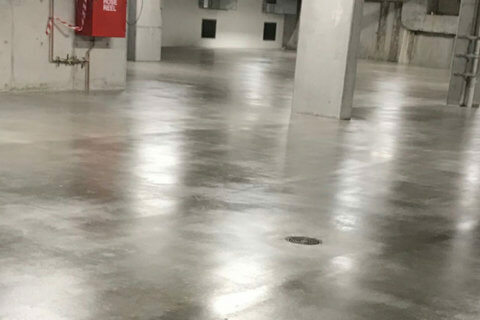 Our professional team can complete a wide range of assignments including surface preparation works, wall glue removal, water proofing membrane removal, floor vinyl removal, floor grinding, concrete polishing, epoxy paint removal, concrete planing, floor preparation and leveling. Our high-speed grinders make quick work of levelling uneven spots, irregular joints and rough or bumpy concrete surfaces. It is very common in the industry to have glue left after removing carpet or carpet tiles. To get this surface back to the concrete base without proper equipment can be a very time-consuming task. PERFECT CONCRETE CARE use state of the art equipment to make brief work of vinyl, glue or epoxy that is still stuck to the concrete surface. 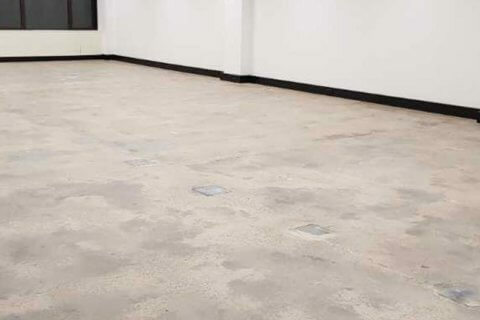 Concrete Floor Grinding is the removal of surface irregularities caused by construction curling, slab warping, faulting and roughness. While it is not the most difficult thing to do, trying to figure out the right tools to rent or buy can be daunting. In addition, dust control can be an issue unless you spend more money for the proper vacuum equipment. With so many choices, it can get plain confusing and expensive. Floor preparation has always been in high demand for the flooring industry. We understand that renovating any project can become a stressful and time-consuming process. Removing floor topping can be a time-consuming task if you don’t have the right equipment for the task. When engaging PERFECT CONCRETE CARE, you can be assured you are in the right hands. Our team members have years of grinding experience and have overcome all sorts of obstacles in the process. As well as floor grinding, we also offer a wall grinding service. 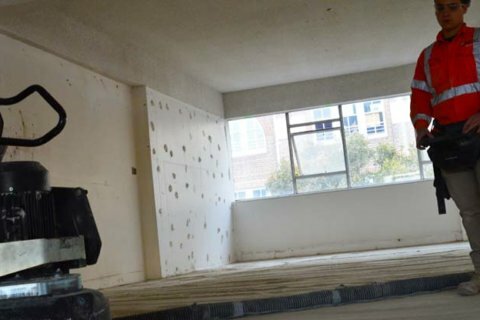 Weather you want to get that perfect surface for a residential build, or to get a smooth concrete surface after wall tiles have been removed, we will get it done. We use the Hilti DG50 Diamond Grinder paired with our Hilti VC 40-U Dry Vacuum, some of the best in the industry, to get your wall grinding done. Polished Concrete is an art, not a job. 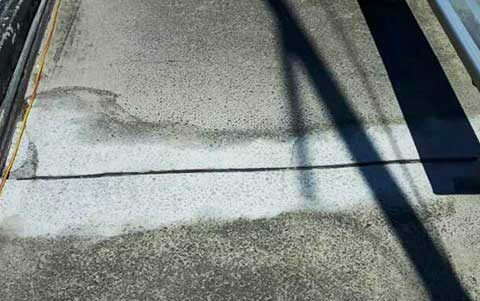 That’s why you need to make sure you engage the best concrete polishing contractors in Sydney. Our professional operators have years of experience in the Concrete Grinding and Polished Concrete industry. 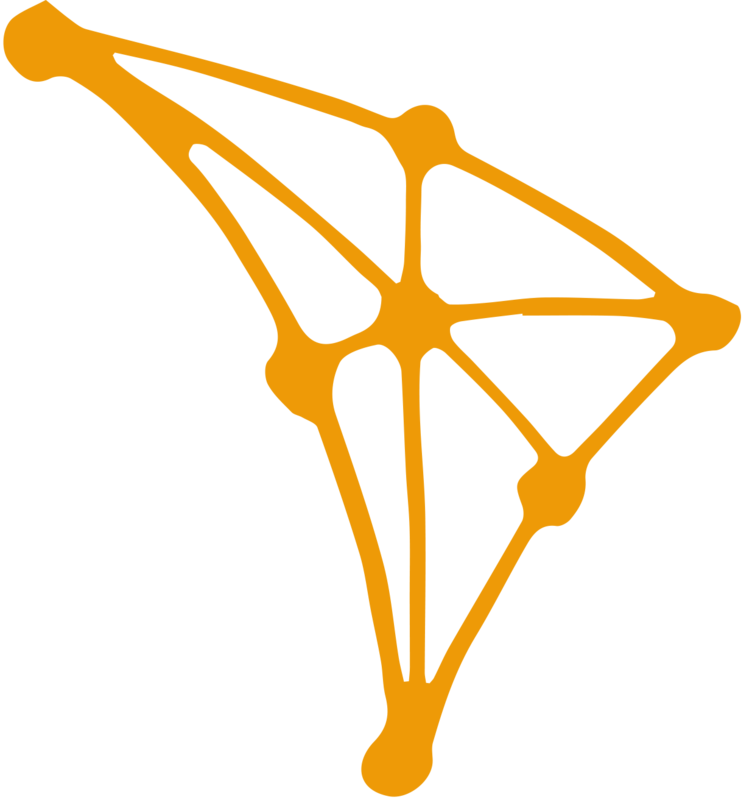 Establishment & Travel: Travel to the site and the initial site establishment. Working hours: All rates apply to normal business hours 7am - 3pm (Mon-Fri). Additional surcharge of $55 p/h will apply if works are to be carried outside of these hours. Stand down time/ Assistant: When the operator is required to stop works due to a delay in works/ areas not being ready for the operator. Parking: Client to supply parking. 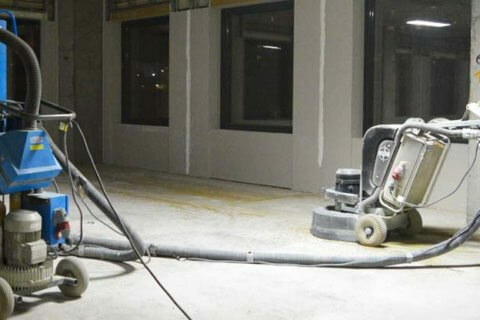 Concrete Grinding is the name given to the grinding process of grinding a concrete floor or wall to either improve the finish or for ecstatic reasons. What is a Grind & Seal? 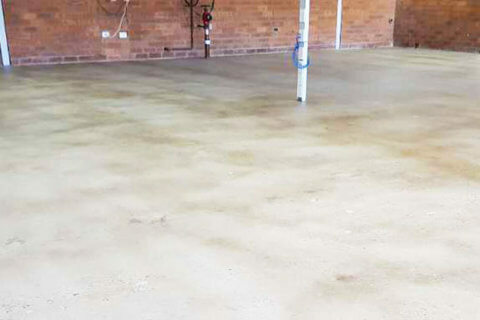 A concrete grind and seal is when a concrete floor is ground down and sealed with a sealing chemical. This protects that slab from liquid spillages when can absorb into the slab and can cause permanent stains, which can be very difficult to get out. How do you grind and polish concrete? Concrete grinding and polishing are usually carried out by large floor grinding machines that have diamond incrusted cup wheels installed on a spinning disc. These diamonds make contact with the concrete at high speeds and gradually grind down the concrete. There are many different types of Diamond Cup Wheels, which will have various effects. Generally Cup Wheels are measured in grits. The higher the grit ratio the finer finish it will leave on the concrete. For a more polished effect a Cup Wheel with a high grit ratio would be used. Can I grind and seal walls? Yes, walls can even be grinded. However floor grinders cannot be used for this. Walls are generally grinded down with hand held grinders that have Diamond Cup Wheels installed. What advantages does a grind and seal give your floor? 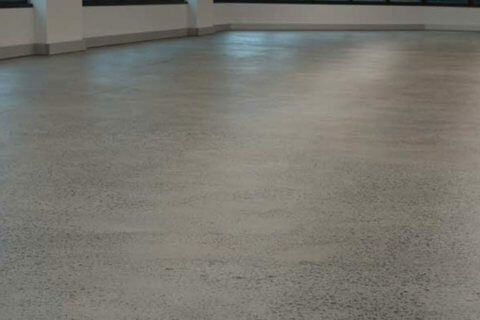 Can you do repairs to our existing polished concrete floor? Yes we can make small repairs; how ever with a grind and seal to ensure you do not get area’s mismatching we recommend doing an entire new grind and seal to ensure you get a consistent finish. How much does a concrete grind and seal project cost? Well it really depends on a number of factors. 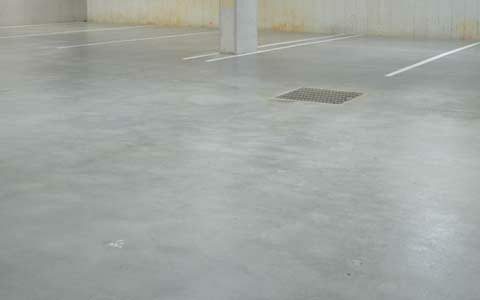 What is the total square metering of the slab, what type of finish are you looking for? But usually our concrete grind and seal ranges anywhere from $4-$18 per m2 depending on various factors. How long does a grind and seal project take? Each project is different as no two concrete slabs are identical. It also depends on how many square meters you require to be grinded. If its all one open slab or if it is different rooms. Generally it would take 2-3 days to grind and seal saw a double car garage. If it is a new house build all in separate rooms it would take around 4-5 days. We strongly believe in providing a safe and healthy work environment for all our employees. Thus, we insure all our staff are trained to the highest standards to guarantee that we carry out the job safely, precisely and promptly. The best way to contact us is either filling out the form below or give us a call/ email. After contacting us we will send you an estimate as soon as possible, usually within 2 hours. What is the access to the job: stairs/ lift/ ground level?